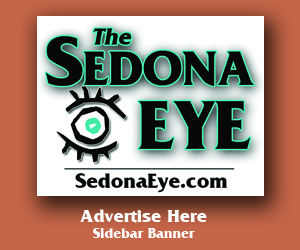 SedonaEye.com columnist Eddie S. Maddock provides an insider’s view of the January 1988 incorporation of the city of Sedona in this first of a two part series The Rise and the Fall of Responsible Red Rocks Residents. Sedona AZ (October 15, 2018) – As most who read this are aware, prior to 1988, control of Sedona was divided between Coconino and Yavapai Counties. Due to growing unrest among those living here, an effort resulting in a vote to incorporate proved successful in December of 1987. 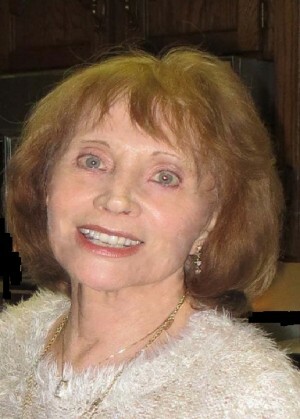 Sedona began to function as an official incorporated city in January 1988, with June Cornelison as the first appointed mayor. Law enforcement was then localized with Bob Irish hired as Sedona’s first Chief of Police. As frequently occurs, even the smallest of changes tend to become inflicted with Unintended Consequences. The incorporation of Sedona proved to be no different. Word of mouth concerns were abuzz, and although the original area intended for incorporation encompassed that of the present Fire and School Districts, the first attempt to acquire voter approval failed. It was only after the incorporated area was decreased to our present City Limit signs that the official City of Sedona became a reality. Although the area of the official city had shrunk, growing pains most assuredly kept pace within the entire greater Sedona area and, indeed, did encompass the broader scope of both Fire and School Districts. As a handful of people began discussing their concerns, a small group gathered to condense methods to address them. An Alliance was deemed a good starting point and decisions for its proposed structure, goals, communication and transparency were seriously discussed prior to taking the next step. 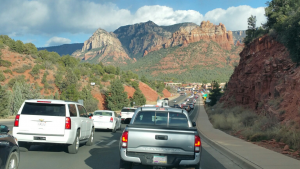 A recent ADOT traffic study found the majority of Sedona tourist traffic drives through the Sedona city limits without stopping to reach Flagstaff and Grand Canyon causing local air pollution and diminished quality of life. However in a recent election, Sedona city voters returned to office the city council that funds the Chamber of Commerce marketing plan designed to bring more daytrippers. Unlike Keep Sedona Beautiful, a non-profit 501 (c) (3) organization indicating contributions are tax deductible within the limits of the law, a designation that also restricts to a degree active participation in political issues, did not fit the intention of the proposed Alliance. Originally designated Retired Residents of the Red Rocks, later changed to Responsible Residents of the Red Rocks, ultimately the 4-R’s incorporated as a 501 (c) (4), maintaining a non-profit status, but eliminating the tax deductible advantage, while at the same time offering a better opportunity to actively participate in political and civic issues. Of course, word of mouth was the seed planted to ascertain if the plant would grow. And little by little there were enough people to extend get-togethers in various homes of potential members. It was exciting and the ideas were outstanding. For example, an initial structure using the concept of teams requiring at least three people including a designated leader was introduced: These teams would require an uneven number and balanced representation (e.g. VOC, City, Loop areas), a key goal for the composition of each team. From the very beginning it was decided a maximum of eighteen (18) were eligible to be a part of an Administration Team who were to participate in monthly meetings where copious minutes would be taken, transcribed, and documented. Team chairpersons also participated in the monthly meetings. Actions would be taken by majority vote of members present or responding by proxy or to a member survey, except that positions on public policy issues would require a clear majority (60-40) of members voting. Study Groups: Teams for traffic, transportation, land use, and health/safety education. Government Relations: Teams to focus on the USFS, Coconino and Yavapai counties, City of Sedona, School and Fire Districts. 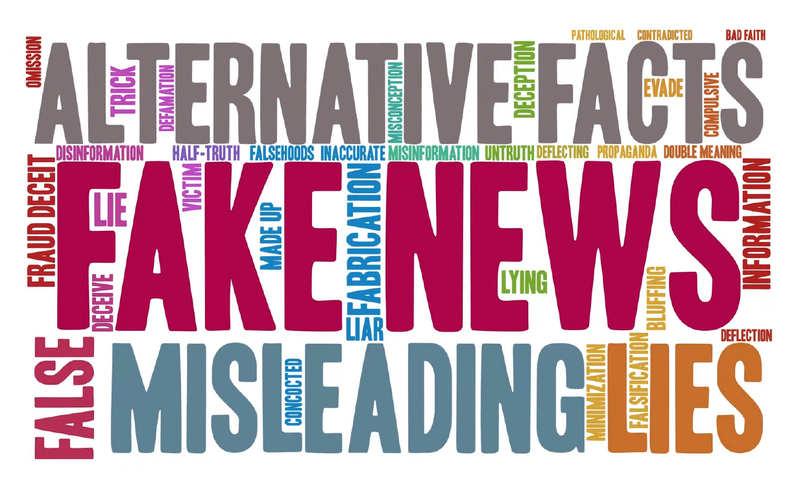 Communications: Teams to contact members on a one-on-one basis (telephone tree); writing/distributing newsletters and statements to the media. Administration: Teams will be nominated and elected at the first official meeting of the alliance; Members of other teams will volunteer to serve and team chairs will be approved by a coordinating team. Emphasizing in particular and again the importance of transparency, all efforts were extended to truly be a member-driven organization, offering options to determine issues to pursue which reflected those essentially important to a majority of potential members and a handful of people commenced to spread the word. Following a procedure of neighborhood meetings in different homes the word spread quickly, during which time proposals for detailed structure of the organization were under discussion. At that time there was enough interest to devise a limited mailing explaining how the alliance would work, how it would be structured, and offering an enrollment application on the reverse side, specifying initial dues would be $20 per person per year. Quickly the meetings expanded to larger areas such as the Elks Lodge and the Village of Oak Creek Golf Resort. Teams of three or five were quickly being formed, identifying their purpose as outlined in the suggested format. Talents of potential members surfaced in abundance – writers, organizers, volunteers – and suggestions were overwhelming. And so the Responsible Residents of the Red Rocks had already proven their worth, merit, and reason for uniting because of a basic need. They wanted a voice. United we stand. Remember those words. City of Sedona Arizona has a population of approximately 10K of which about 6K are considered year round residents. By January 1994, it was already time to announce the First Annual Membership Meeting, to be held Saturday, January 19, 1994, 10:00 a.m. to noon, Wayside Chapel. It was at that meeting the first 4R election was held to vote for members of the Coordinating, Financial, and Secretarial Teams. A total of eleven names were recommended by the Nominating Team. The Nominating Team consisted of seven people who were, at that time, chairpersons of 4R issue teams. It was also a celebration of the first published official 4R Newsletter – Vol. 1, No. 1. Four Hundred Seventy Nine (479) names appear on a 4R Membership List dated April 6, 1997. That seed planted approximately four years earlier flourished. How can one argue with success and what could possibly go wrong? First of a two part series. Always find your knowledge of Sedona interesting! Be fun to know what players are still around. Indeed it would be. And going through my files it’s even more interesting to read about complaints made against the 4R’s and how changes in attitudes from those same people evolved after a few years. One never knows what tomorrow holds. That’s a certainty we can count on. Thank you for taking time to patronize SedonaEye and, especially, for offering a comment. Hit this one out of the park Eddie. Looking forward to part 2. Wow! Thank you for sharing this.A very well thought out organization. Fair minded structure and great leadership. This is great and shows us how people united can make change.I am looking forward to part 2. Political motivation is money, why elect these losers if not paid to do it? Local artists got money and votes bought. Leave our Village be. The voters voted their fweelings, we have to save the non profits and small grants. They will get what they deserve. Sadly, that will mean the end of Sedona as a residential or artist town. Their fweelings will get the conversion to a tourist trap. I was behind a tourist today, out of state plates, doing 25 MPH on 89A. I really need to check my meds, I yawn so much. I guess it’s because I am so bored at my city job. Yawn…… I don’t know what I would do if I really had to work for a living. Yawn…. I guess the only thing I’m qualified to be is a bag lady. Yawn…. The concept behind this 4-R alliance appears to have been well thought out. What’s wrong with offering an opportunity for people to express their concerns to likeminded thinkers? The Lodging Council and Segner do it all the time and get paid by the Council to do it. Chamber of Commerce does it all the time and gets paid by the city to do it while Self Payers like B’nai Brith, Episcopal Women, Knights of Columbus, Sierra Club, Dark Skies Society, Humane Society, Sedona Restaurant Group, Keep Sedona Beautiful and so on and so on do it. Think about it before sucking air. What’s interesting in the title is “Rise and Fall”. Was it for no other reason than to give Gretchen and Friends an opportunity to gripe about Sedona Eye? If Gretch the Wretch & her Fetchits want to play harp and drum about articles try the recent RR Snooze trying to indicate it’s because of the CHAMBER OF COMMERCE the national economy is surging! Weren’t they around when Sedona’s economy tanked? How about that for low mentality??? Speaking of yawning. WOW Rock On Bill! Long time since hearing your name! Talk about being on a roll. Your words are right on Sir. I would just bet your ancestors are rolling in their graves over the bad energy that’s now controlling Sedona. So much for the former positive vortexes. Be sure to weigh in when the gateway forest service swap comes round again. Your opinion mattered then and should again. Just when ya think ya’ve heard them all. Try this on for size. There simply is no limit to the gall of this city council and city administration. How much more proof do you people need? Isn’t it way past due for a similar organization to the 4’R’s to rise from the ashes and correct whatever problem they may have had and take back our Sedona? What’s going on is sooooo out of control!! Wake up Sedona residents. This is what happens when morons elect morons. Wake up Sedona residents? Actually, the recent election was the wake up call but Sedona residents slept through it. Right on Richard. Residents are low on totem pole around here. The Sedona city council has no idea what their jurisdiction is. They want to discuss funding the US Forest Service, they refuse to look at the roads within the city limits in dire need or repaving. They donate to the Mayor’s event, the Sedona Wine Fest, yet there are no winerys in Sedona. The Sedona Council gives $2.5 to the Greater Sedona Chamber of Commerce, most cities gives theri chamber nothing. What really galls me is Keep Sedona Beautiful has their building almost next to the vacant city owned park with two buildings rotting away. What the (blank) is wrong with those members of KSB? 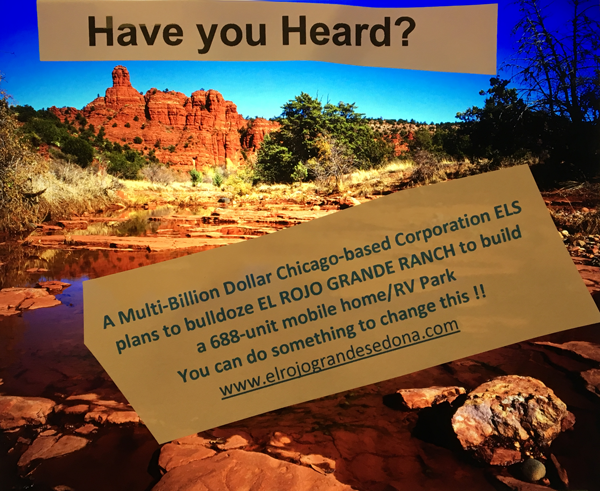 Why aren’t THEY lobbying for improvements to that promised park instead of having city money go to the US Forest Service for trail maintenance in the Greater Sedona Area – way outside City of Sedona’s jurisdiction? What’s wrong with this picture??? Simple and clear. The city is vote buying by GIFTING money to those who will rally the votes so that city has as much money as they can gift away. @Jim, Brewer Road Resident until the people unite the chamber and SS will be spending your money to pay for their businesses. The city council only cares about those that tell them how smart and wonderful they are. They never managed anything, old folks getting wined and dines by staff and chamber cronies. Very clear city has stacked the decks and buys votes with favors, grants, control and mostly YOUR money. YOU pay they play. This is why the chamber spend so MUCH of TAXPAYERS money to win homerule a guarantee of increases to their city subsidies easy peasy 2.5 million a year with automatic raises. No restrictions. no controls. Maybe it time to recall. Because national politics in Sedona appears to be in control here (presently by Democrats) it will be interesting to maybe learn if partisan split even back then had anything to do with the demise of what appears to have been a really well thought organization.